Dragon Age: Inquisition, which will release on October 7 for the Xbox One, PS4, Xbox 360, PS3, and PC, is one of the most anticipated games of the year. 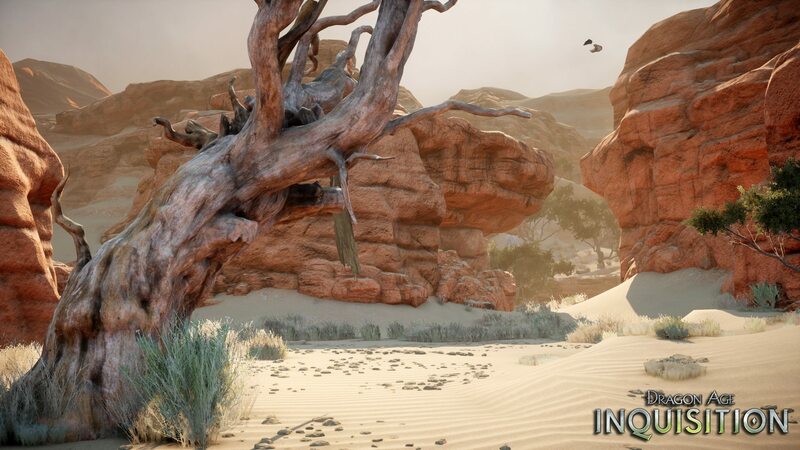 A new batch of screenshots was released today, and we’ve also got a couple pieces of information to share with you. These aren’t environmental screenshots for once, but we can’t say we haven’t seen our fair share of the world. 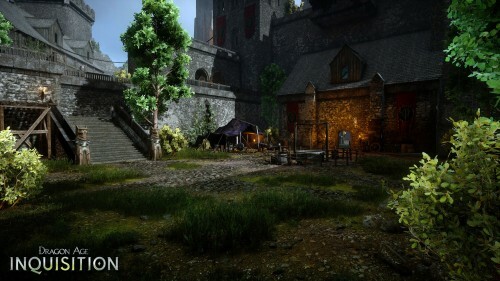 BioWare has been generous in what it’s shown of the Dragon Age world. 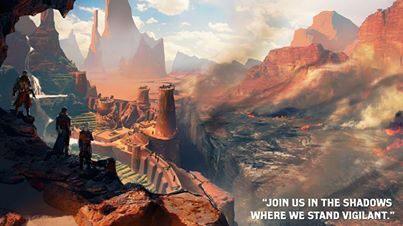 With all those locations and an emphasis on exploration, a lot of fans have wondered just how big the game is going to be. 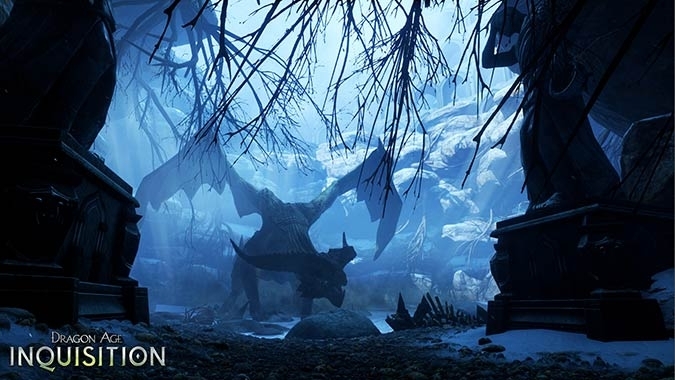 We don’t have an exact map size yet, but we know it will be bigger than Dragon Age: Origins. 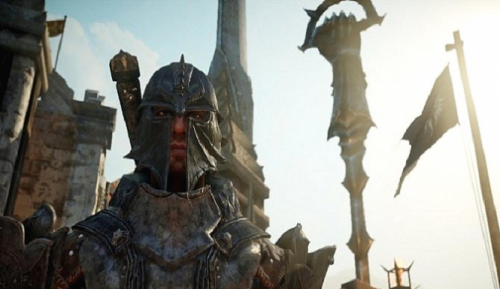 According to Creative Director Mike Laidlaw, who spoke with GamingBolt at E3, the world of Dragon Age: Origins could easily fit inside Inquisition… inside a single level of Inquisition. 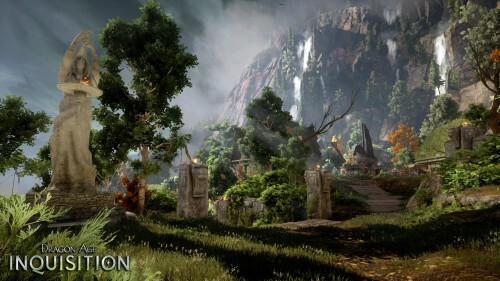 Origins and Dragon Age 2 could be placed inside Inquisition with plenty of room to spare. Well, we won’t run out of places to explore, as long as Inquisition has the content to back up the size of the world. Speaking of content, the endings confusion has resurfaced. 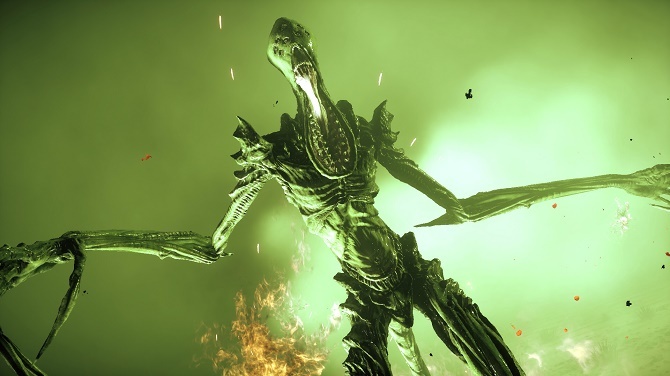 We discussed this before, but BioWare once again referred to the game’s 40 endings and, as before, had to clarify that only a few endings will be completely unique. 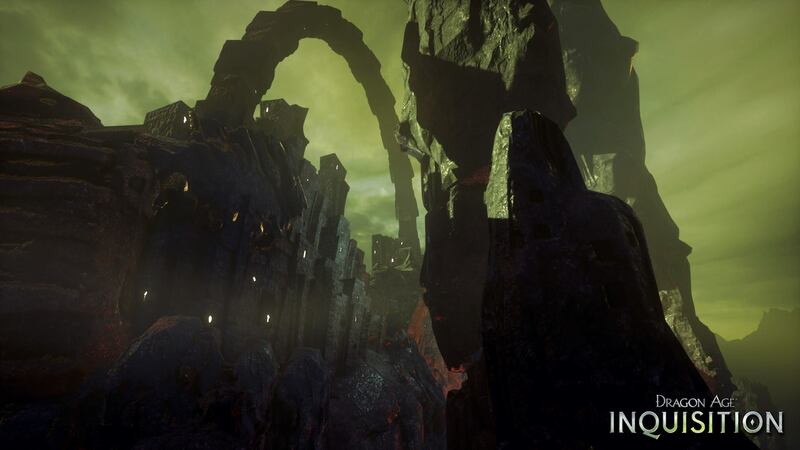 No matter how many endings Inquisition has, we can’t wait to explore the world and see some of our favorite characters, so beautifully depicted in these screenshots. And while we’re on the topic, Anora has been added to the list of confirmed returning characters. 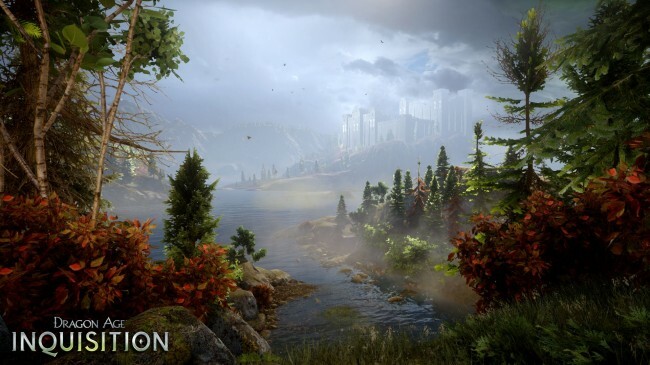 What are you looking forward to the most in Dragon Age: Inquisition? 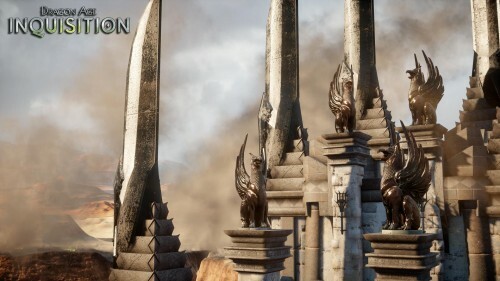 Even with E3 just around the corner, BioWare is still releasing screenshots to build up excitement for Dragon Age: Inquisition and show off some of the locations we’ll get to visit. This latest one should be familiar to fans of the series–BioWare has released information and screenshots about Redcliffe, as well as the nearby Hinterlands. This emphasis on location revelations makes us wonder just how much exploration will be possible in Inquisition, since Bioware is taking such steps to build anticipation around its world. And of course, it wouldn’t be a Dragon Age game without memorable characters. 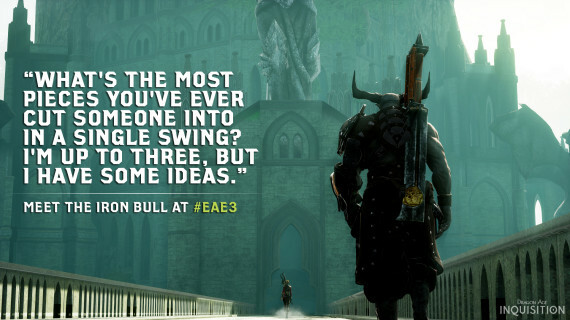 Two of the newest characters, Sera and the Iron Bull, have also been teased with quotes that hint at their personalities, along with the promise of more information at E3. 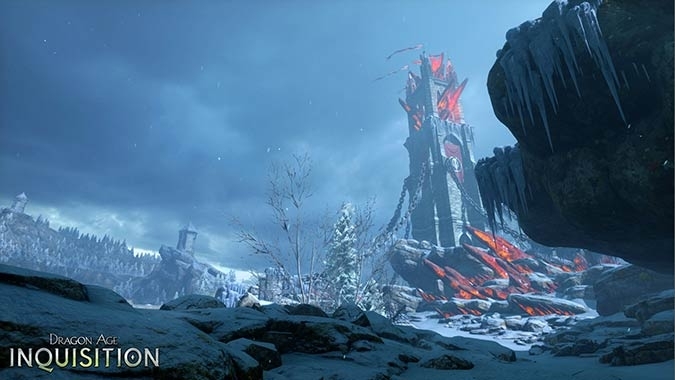 BioWare has released yet another batch of screenshots for Dragon Age: Inquisition, along with more articles related to lore and location on the game’s official site. First, we’ve gotten to see new screenshots from a strange place that should be familiar to fans of the series: the Fade. 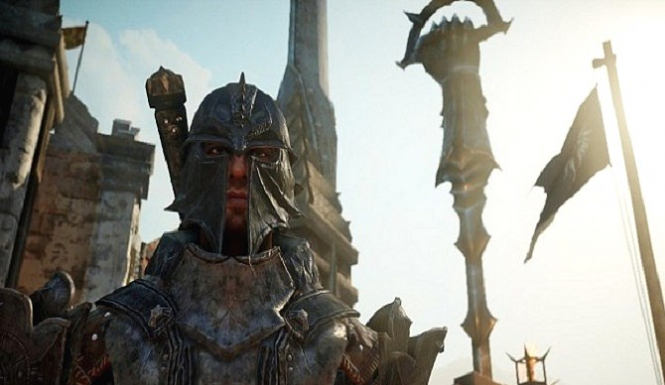 The site has a helpful article on the Fade and its connection to the mortal world, as well as an article on breaches in the Fade, which is an important part of Inquisition’s premise. 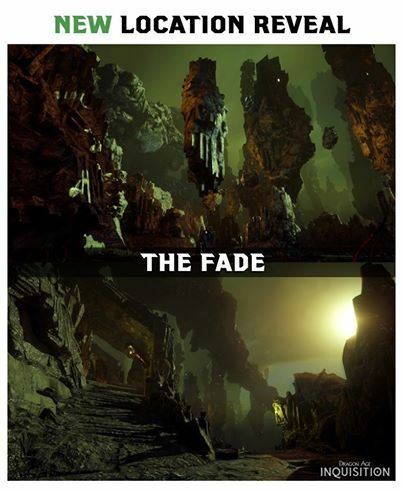 As interesting as the Fade is, it isn’t the only location we’ve gotten to see. The next is the Therinfall Redoubt, a once-proud training ground for the Seekers. 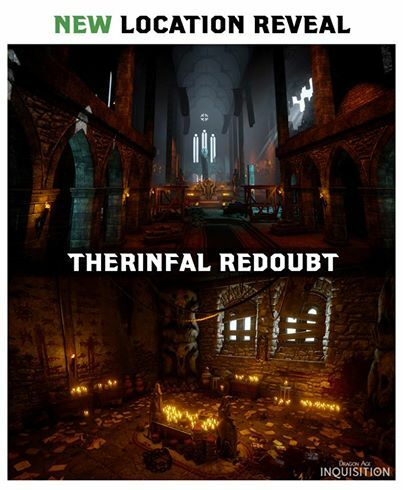 And yes, the site was updated with another lore-based article about Therinfall, so you can catch up on your knowledge of both of these interesting locations. 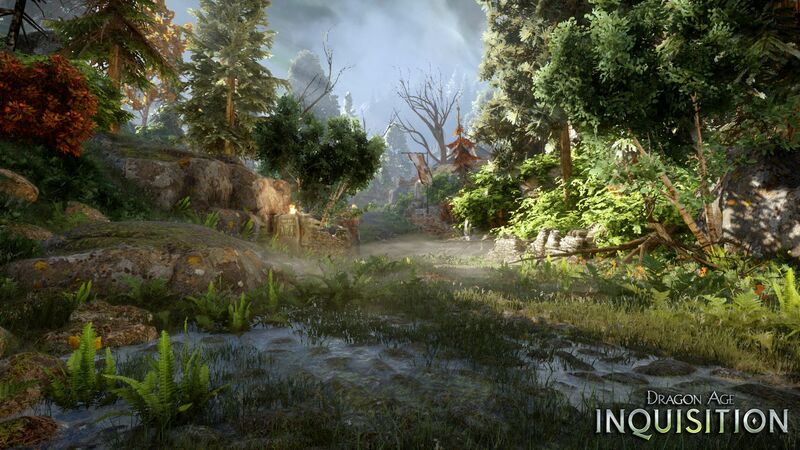 We’ve also got two little facts about Inquisition to share with you today. First, the game is officially in alpha. This means that the game is mostly complete, and the developers will be testing it. Our second piece of information is more related to the game, rather than just its status: how the Inquisitor’s name will be chosen. Don’t worry, you’ll be able to give your character any first name you like. The last name, however, will be given to your character based on the race you’ve chosen. 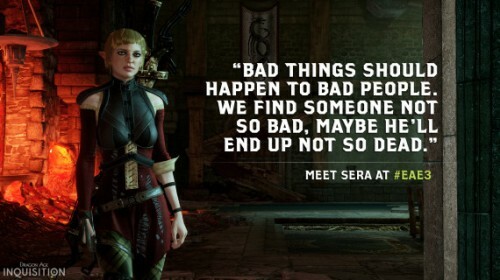 This isn’t the first time we’ve seen this from BioWare’s games, and it allows the voice acting to easily address the Inquisitor. Enjoy the rest of the screenshots, and share your comments on Dragon Age: Inquisition! BioWare continues to tease new locations from Dragon Age: Inquisition, a strategy which shows off the beauty of the game, provides an easy way to recount snippets of lore, and builds excitement for the game. We’ve gotten to see elven forests, desert fortresses, and even a snowy location, but now it’s time to dig into the politics of Orlais. 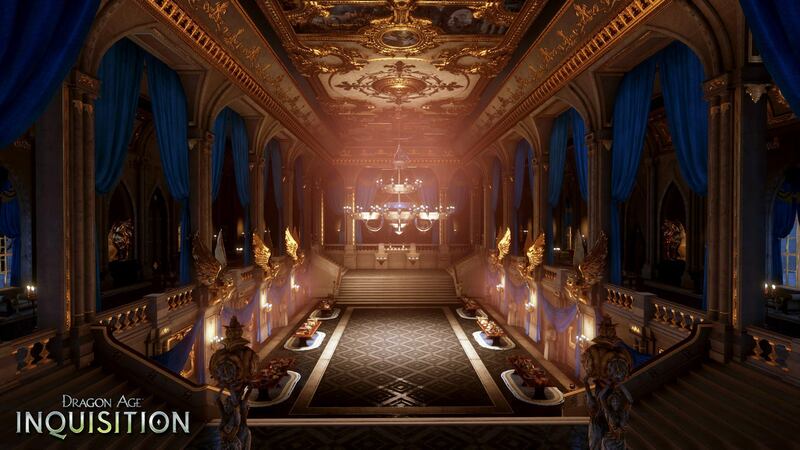 The Orlesian Empire, as explained on the official site, is filled with nobles playing “the Grand Game,” deadly political maneuvering. 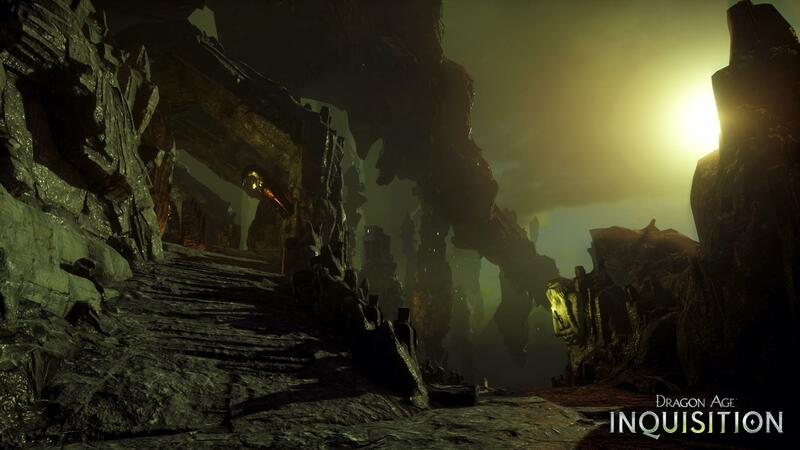 Previous Dragon Age games have talked about it, but now we finally get to see it for ourselves. Orlais is far from safe, however. Another recent article describes the Orlesian Civil War. Our look at Orlais takes us to a specific location, Halamshiral. 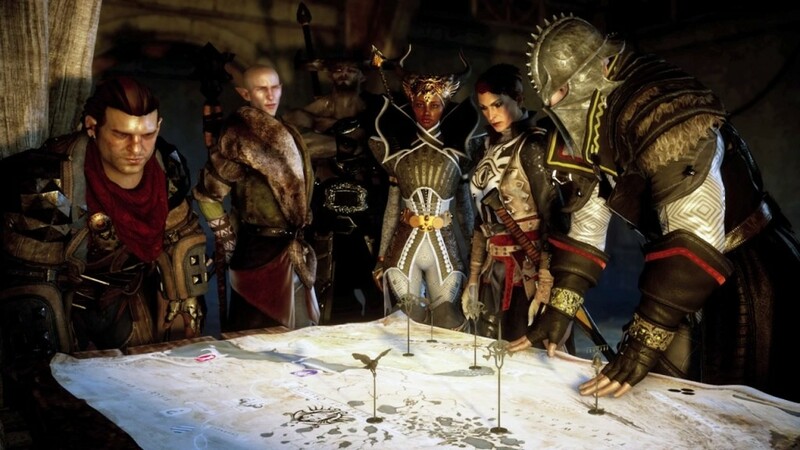 The Inquisitor goes to Halamshiral and the Winter Palace to find an assassin. 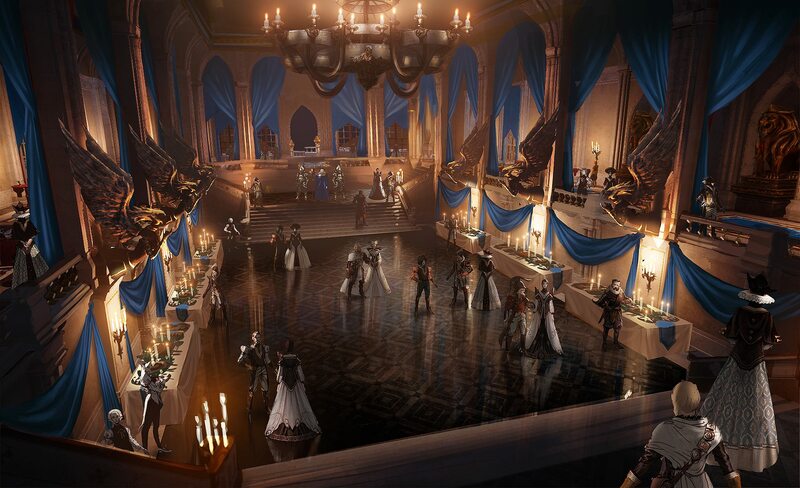 Bioware also shared a piece of concept art for the Winter Palace’s costume ball. 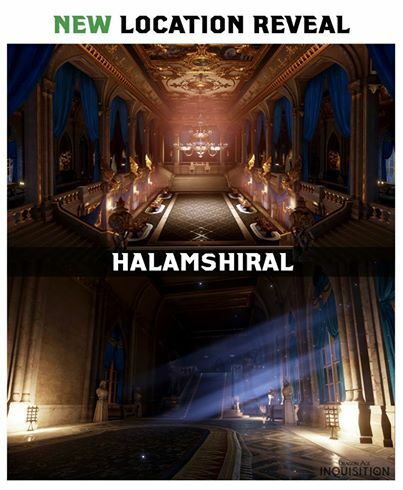 Halamshiral is very beautiful, ornate, and perhaps over-the-top, quite a change from the more rugged, outdoors locations we’ve previously seen. 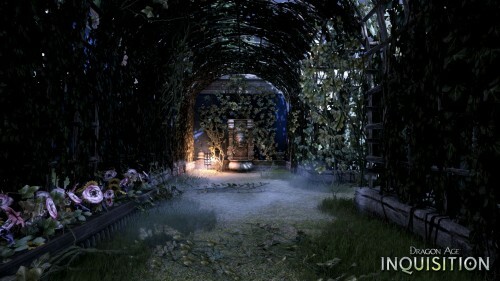 However, it wouldn’t be Orlais if there wasn’t danger mixed in with its beauty. Dragon Age: Inquisition comes out on October 7 for the PS4, Xbox One, PS3, Xbox 360, and PC. 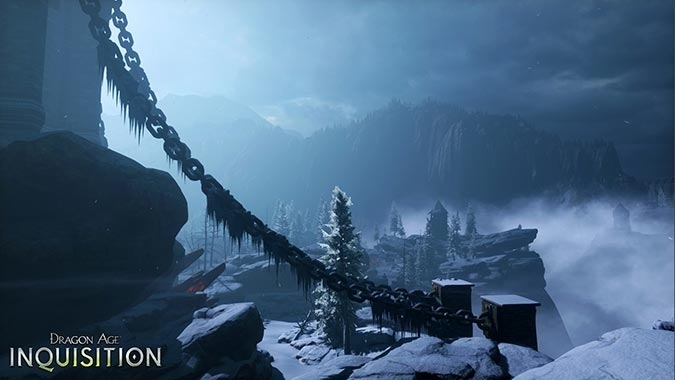 Of all the locations we’ve seen so far, which are you most excited to visit? Last week, we got a glimpse of the Western Approach, an arid desert area in Dragon Age: Inquisition. 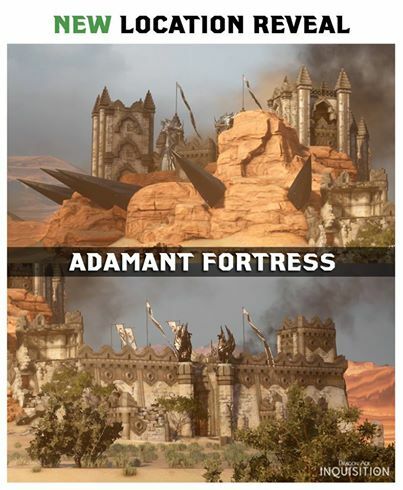 Bioware has since shared many more screenshots of this area, including the imposing Adamant Fortress. 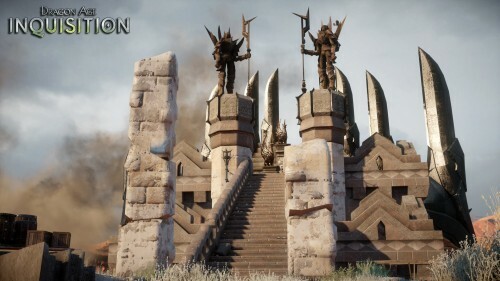 One screenshot was accompanied by a new article added to the website about the Grey Wardens and their struggle against the darkspawn. Consider it a brief history if you haven’t played the previous games, or if you’d just like to brush up on the lore. 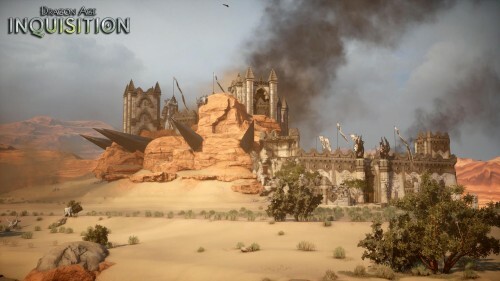 As explained in another addition to the website, the Grey Wardens are linked to the “fortress of Adamant.” It was once a stronghold for the Wardens, but they reluctantly sealed and abandoned it when the Western Approach became a desert. 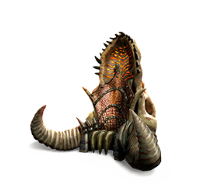 The Western Approach was once green and filled with life. You’d never know it when you see it now, though. So what do you think? 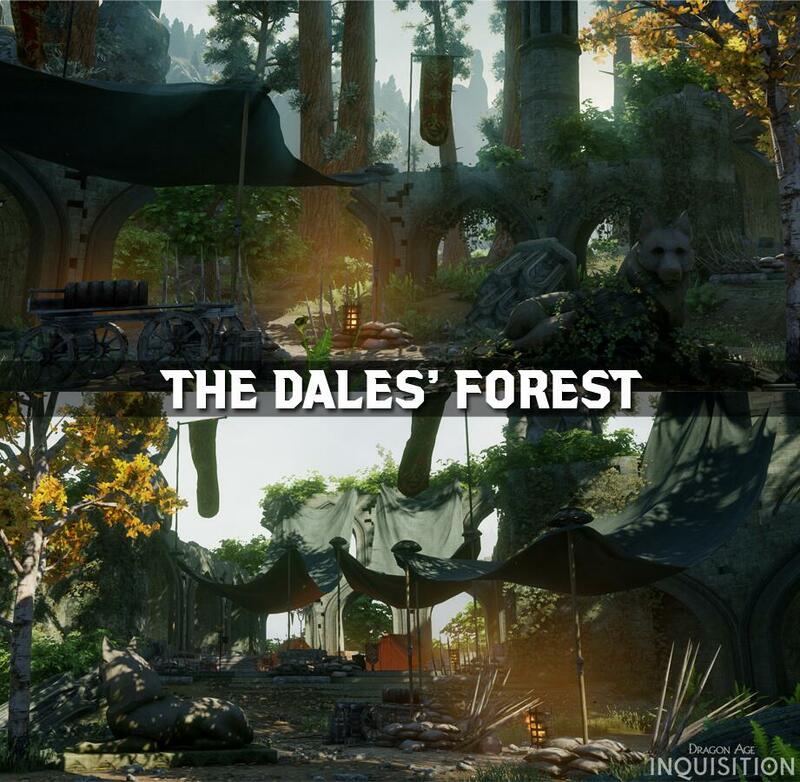 New vacation spot, or just a place you can’t wait to explore in Inquisition? 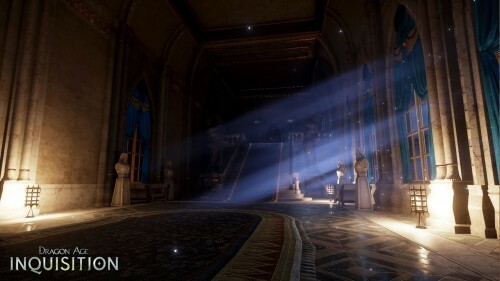 Of the locations we’ve seen so far, which are you looking forward to the most? 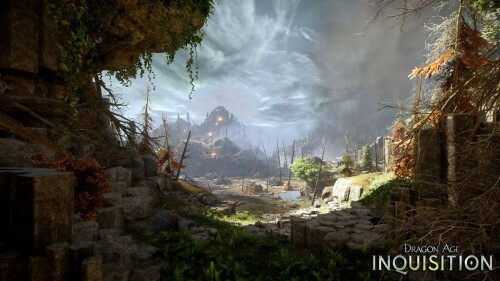 Take note that the version of Inquisition is the Deluxe Edition, which means you’ll get the digital bonus content we’ve previously discussed. 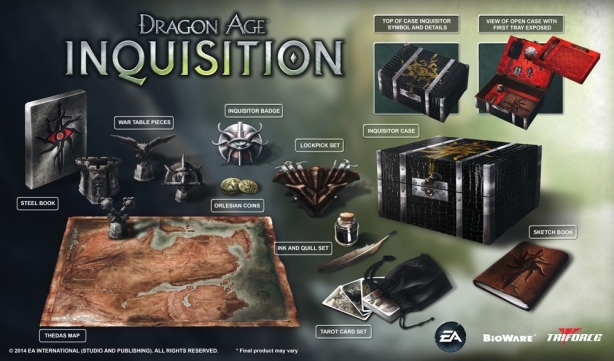 The Inquisitor’s Edition contains a lot of cool stuff, and if you really love the Dragon Age universe and lore, it might be worth the high cost of $169.99. We’ve got one more thing for you today, as well. 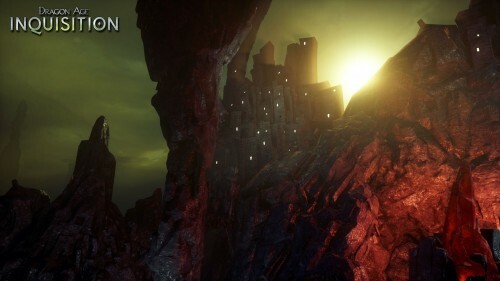 A new location has been revealed. 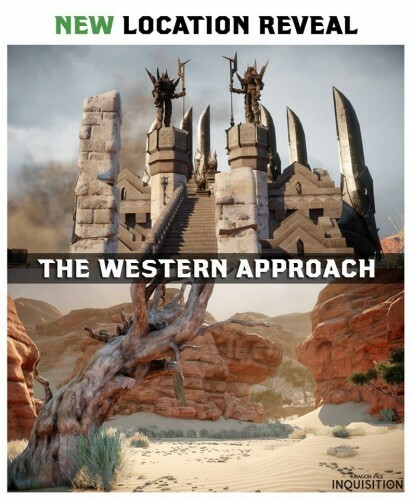 We don’t know very much yet about the Western Approach, but it looks vastly different from the other areas we’ve seen. We hope Bioware will reveal more information soon. In the meantime, let us know what you think of the collector’s edition, and if it sounds like something you’d like to buy. 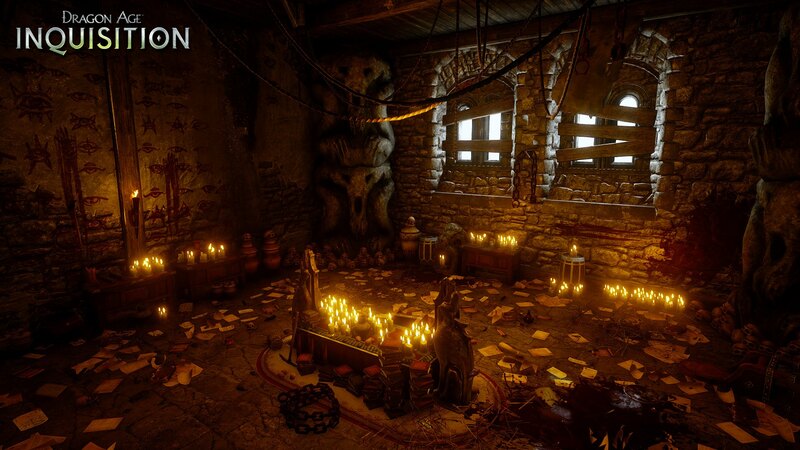 The above screenshot isn’t the only new piece of material related to Dragon Age: Inquisition to come out recently. 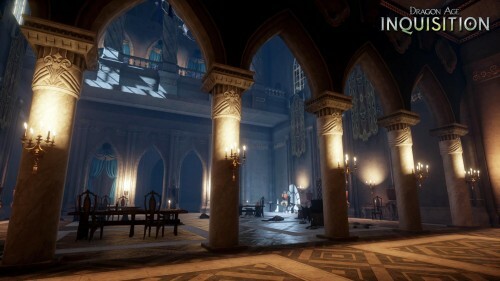 While it’s very nice, and we’re happy to see so many characters (Varric, Solas, Iron Bull, Cassandra, and Vivienne alongside the Inquisitor), we bet anyone who is thinking about preordering the game or buying the Deluxe Edition will be even more interested in hearing about the Flames of the Inquisition. 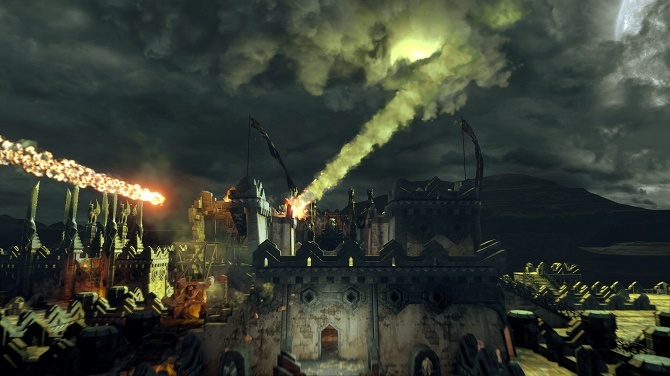 The Flames of the Inquisition bonus content includes a set of weapons, armor, and an armored mount. Now, if you’re especially interested in the bonus content that comes with the Deluxe Edition, we’ve also gotten our first look at the Skyhold Throne, Red Hart Halla, and Bog Unicorn. So, let us know your thoughts. 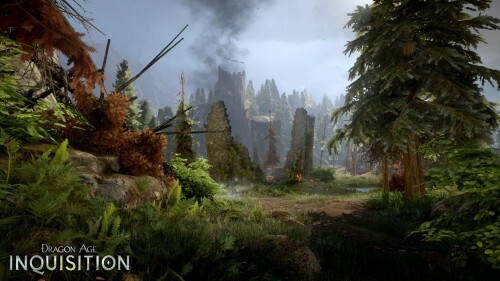 Are you planning to order Inquisition, and if so, do these bonuses make you more interested in getting a special edition and/or preordering? 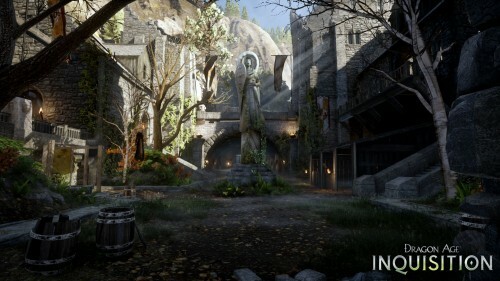 In the newest preview of the upcoming RPG Dragon Age: Inquisition, Bioware posted comments from senior environment artist Andrew Farrell, along with new screenshots of two different areas. 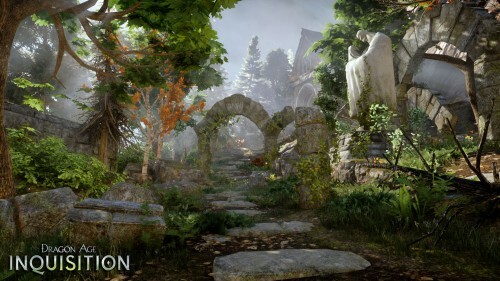 The Emerald Graves were once again featured, following on the recent reveal of this area. 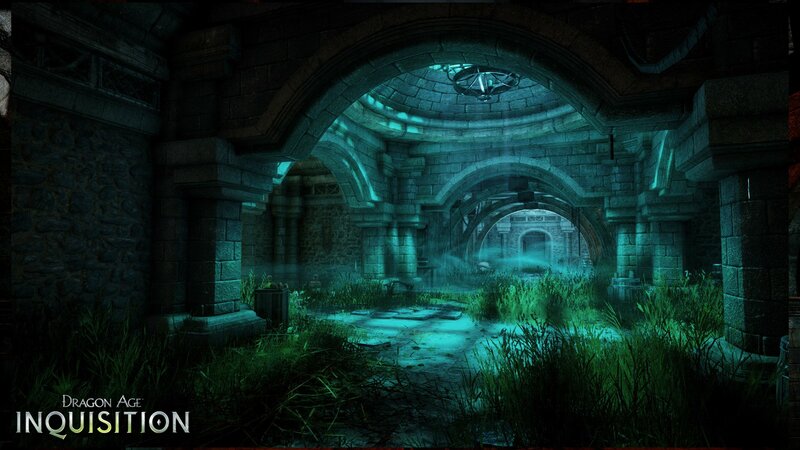 Due to the history behind the location, the Emerald Graves combine elven and Orlesian elements. 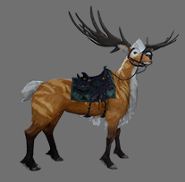 Wolves, bears, and many other types of wildlife make the Emerald Graves their home, along with “some ‘gigantic’ enemies” that you’ll be better off sneaking around the first time you arrive. Farrell hinted that there might even be a dragon in the area. He went on to describe hidden elven camps, caves, and carvings on the wall, which sounds as though Inquisition will really emphasize exploration and discovery. Sounds great! Farrell then discussed another area of the game, one that previously hasn’t been seen, outside of some leaked screenshots that emerged yesterday. In contrast to the forests and greenery we’ve seen so far, Emprise du Lion is a snowy environment. 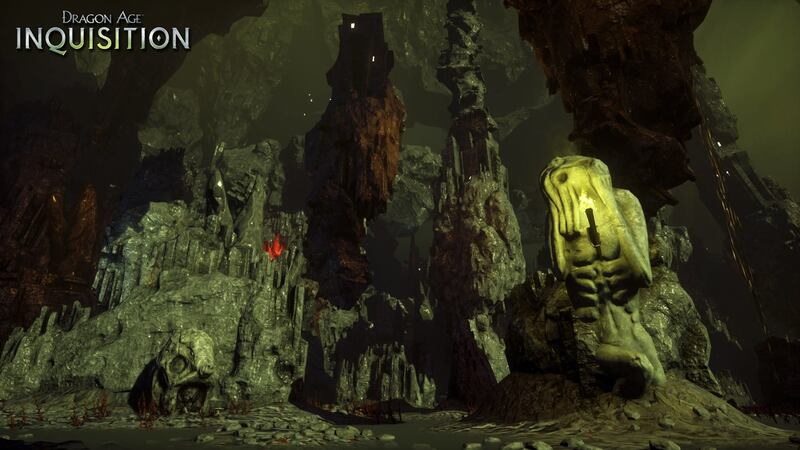 Emprise du Lion is another place for you to explore, although not to the extent of the Emerald Graves. Your main reason for being in this wintry area is plot-related: the Inquisition needs to investigate the actions of the red Templars. 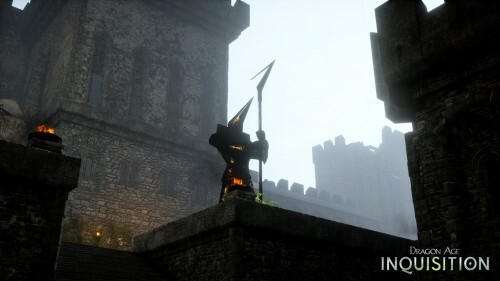 Emprise du Lion also has a strong connection to the novel Dragon Age: The Masked Empire. 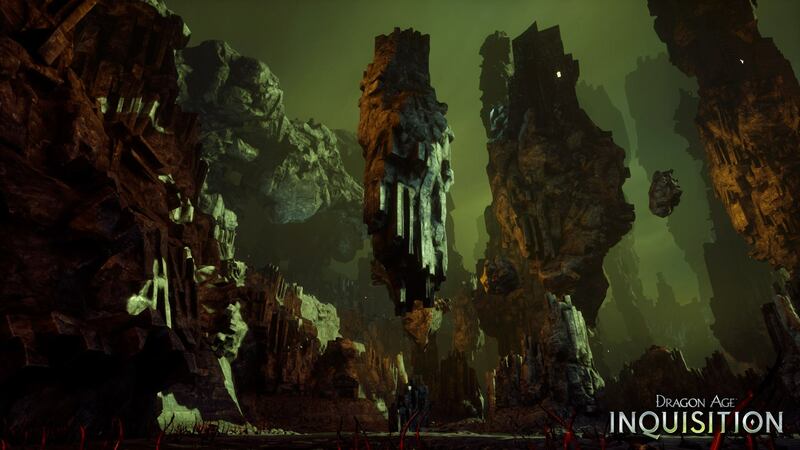 We’d previously heard that a character from the book will appear in Inquisition, but it sounds as though the ties may go further. 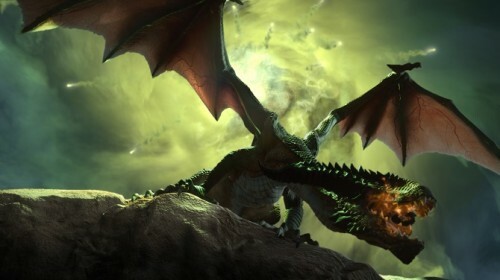 Also, there might be dragons. So there you have it–some more beautiful screenshots to get you excited for Dragon Age: Inquisition. What do you think? 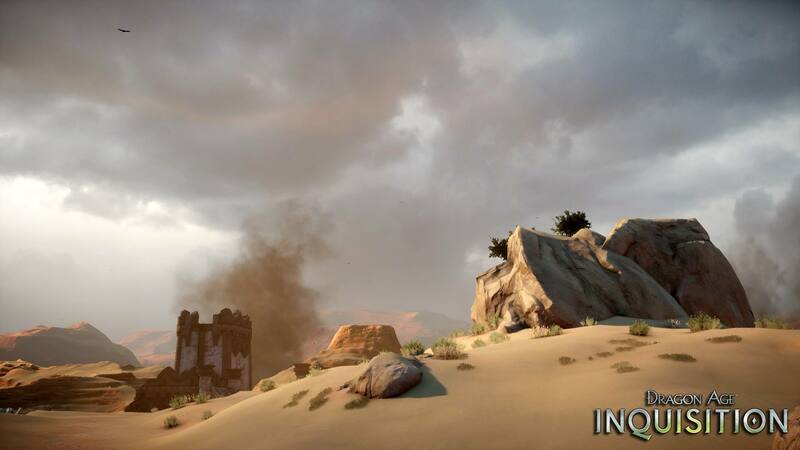 New screenshots herald the arrival of more information about the Dales in Dragon Age: Inquisition. 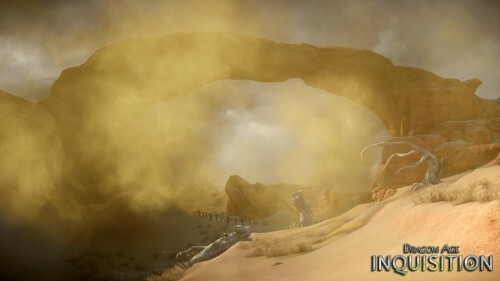 Previously, we saw a lot of screenshots showing the Exalted Plains, another part of the Dales, so it sounds like this will be a very important area in the game. 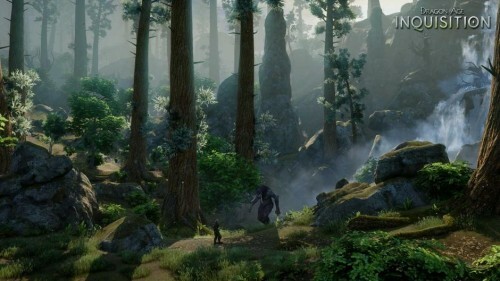 The official site was also updated to include a brief description of an encounter with Dalish elves, as recounted by Brother Genitivi, a character whose name should be familiar to fans of the previous games. 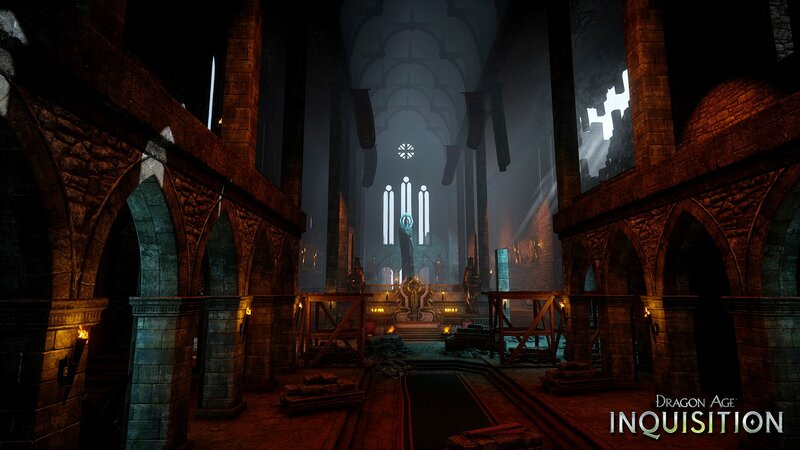 By the way, if you love the way Inquisition looks, the official art book is available on Amazon, and its legitimacy was confirmed by Creative Director Mike Laidlaw. 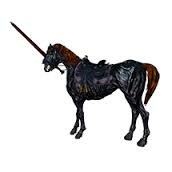 “The next generation of fantasy is here! 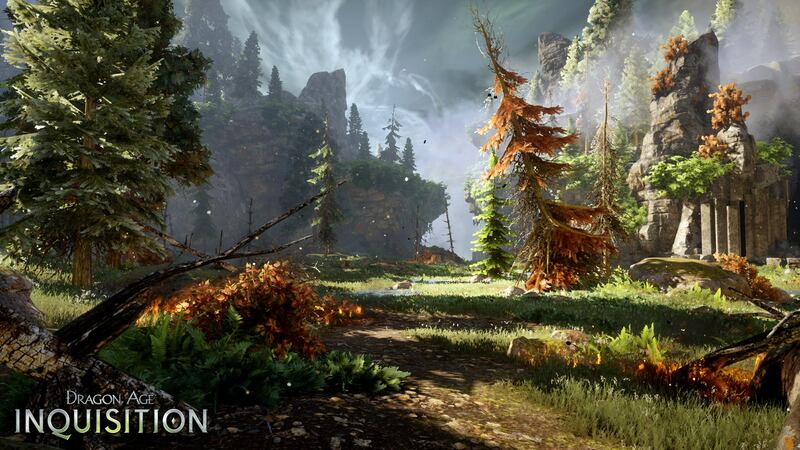 Go behind the scenes of Dragon Age: Inquisition, the most ambitious game ever created by legendary developer BioWare! At 184 pages, this art book might be worth if it you’re really interested in the lore and world. We can’t wait to see more from Dragon Age: Inquisition. We’ve seen and heard a lot of exciting stuff about Dragon Age: Inquisition lately. With its release date just over 5 months away, you might be wondering how progress on the game is coming. Well, according to Lead Writer David Gaider, they’re pretty close to the “Content Complete” phase. At this point, the strongest focus is on working with the existing content and making cuts and changes. As far as the writing goes, the writing team is done with the major elements and dialogue, and is working on more minor pieces, such as the codex entries. It’s exciting to hear about the game being in such a complete form, and we can’t wait to see what the finished product looks like in October. 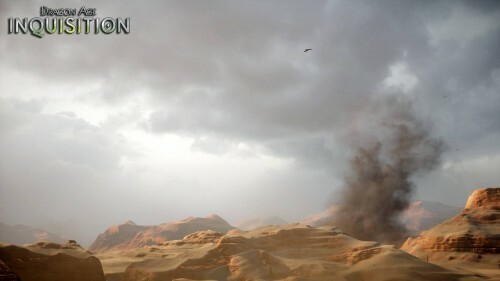 Additionally, Creative Director Mike Laidlaw confirmed that a physical special edition will soon be available (as currently you can only choose between the regular and digital deluxe editions). We’ll let you know as soon as we hear more. @gamerking23 Hold tight. We’re looking at details about a physical special edition and should have them out soonish. 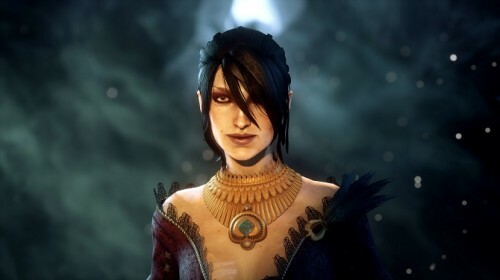 He also mentioned that at least one character from the Dragon Age novel Masked Empire will appear in the game, which is good news for fans of the books, and that we should get to see the female qunari before the game’s launch. 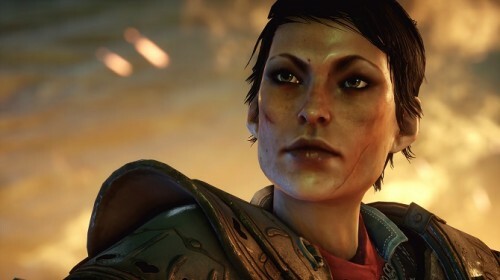 On the other hand, he refused to give details on how much of an impact the Warden and Hawke will have on Inquisition. Oh well, it was worth a try, right?